We are again excited to welcome thought leader Dr. Stephen Tedeschi as a guest blogger. Dr. Tedeschi, is a Partner at PatentVantage, a leading patent research and strategy firm. He is also an Adjunct Faculty member at the National Institute of Health’s Foundation for Advanced Education in the Sciences (FAES). For more on Dr. Tedeschi, please see below. Please be sure to check out Part 1 of this blog series. 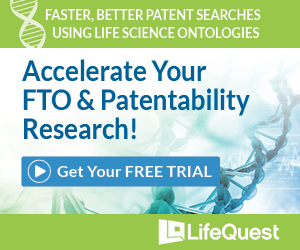 Mechanical, chemical, and life sciences patents in particular, pose their own challenges to searching. In all of these technologies, inventions can be described in ways that are not searchable through text-based interfaces. For example, these technologies may be disclosed as images, Markush structures, or Gene sequences. None of this information is effectively text searchable, if at all. The ability to search them is created by database providers through the addition of indexing and other value added cross-referencing. This type of manual curation takes time and often means paying to access the curated data, but effective searching is nearly impossible without it. In recent years, some things have changed while others have not. There are now a number of free and subscription based databases that provide access to patent data. Google offers the ability to search patent data and is continuously updating its Google Patents search page, providing free access to patent data from seven patent offices, the ability to develop more complex search strings, and a number of filters to refine results. Subscription based resources offer additional features such as thesauruses, the ability to create complex search strings using proximity operators, better document organization through patent families, value added indexing and cleaner data to name a few. Although they require a fee to access, you are getting a lot of additional value for the money. The USPTO also now provides web-based training and other resources on the basics of Although this is not the complete strategy I rely on, it’s a very good start. During my tenure in the IP industry, I’ve seen an increased emphasis on patents as an asset and no longer just an expense, especially here in the US. Universities and Companies alike are re-evaluating how they can develop a patent strategy to protect products based on their inventions and monetize patents that they will not turn into products, such as through licensing. Some companies are now actively looking to license their unused patents and new companies are forming to essentially broker licenses enabling small and medium sized entities to obtain access to key technology produced by large entities without whom they otherwise would not be able to collaborate. There has also been a reevaluation of IP by universities and colleges. The number of patents granted to college and university researchers has increased considerably over the past half century. The U.S. Patent and Trademark Office’s Patent Technology Monitoring Team (PTMT), who compiles a variety of statistics on patenting activity, reported that in 1969 the total number of utility patents granted to universities was 189, or 0.28 percent of utility patents granted that year. That number rose to 4,797 patents, or 1.89 percent of patents granted in the US by 2012. This number is based on the number of patents that have a US college or university as the first named assignee and may not tell the whole story. Some universities may allow faculty to retain ownership of patents for their own research, may have the faculty member as the first named assignee, or may have the funding organization as the first assignee. Therefore, the actual number of patents granted to academic researchers is probably higher. In addition, some universities are also considering patent activity for tenure positions and scholarships. Patent information is being increasingly used in academia and industry alike throughout the innovation lifecycle and is proving to be critical to successful and profitable research. In fact, I’ve received candid feedback from a few top companies I’ve worked with that conducting a preliminary patentability search on the inventions that pass their internal engineer’s assessment still results in an estimated 50-60% kill rate. That is, over half of the ideas their experts believe to be patentable are abandoned because they are already patented or need to be significantly changed. As a result of spending an insignificant amount of money in the early stages of research, a significant amount of R&D and prosecution budget is saved and able to be better allocated for stronger inventions. So the next time you are ready to begin a research project, be sure to search patent data as thoroughly as you search journal articles and avoid the mistakes others have made by overlooking this source of information. Dr. Stephen Tedeschi, Ph.D., is a Partner at PatentVantage, a leading patent research and strategy firm. He helps clients make informed legal, business, and technical decisions by developing effective research strategies that provide insightful results. 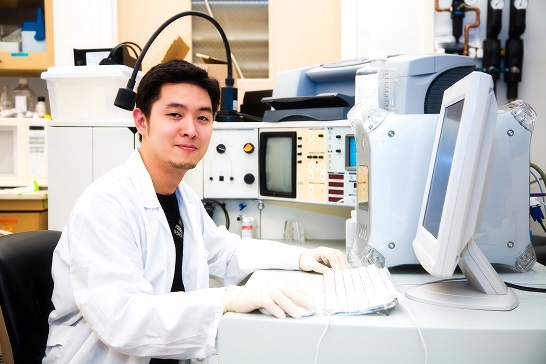 His extensive experience makes him a subject matter expert in materials science and chemistry. He has also served as a search department director, leading an international patent analyst team and managing projects for customers around the world. Dr. Tedeschi teaches prior art searching to a global audience including patent attorneys, patent analysts, scientists, engineers, and researchers in the US, England, and Japan and is an Adjunct Faculty member at the National Institute of Health’s Foundation for Advanced Education in the Sciences (FAES).